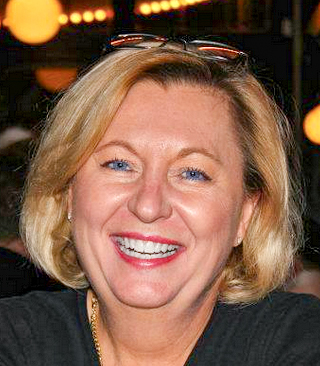 I'm lined up to judge the 19th Annual Got Gumbo Cook-off here in New Orleans tonight (February 7), Proceeds benefit the New Orleans chapter of the United Way. Tickets are still available; they're $35 at the door. The event opens at 6:00, and you'll find me at the judge's table at the front of the room, eating my fill of great gumbo. Stop by and say hello! My niece, a professionally trained chef, flies in tomorrow and we're spending the entire weekend cooking-- she's a great help when it comes to developing and testing recipes for the magazine. 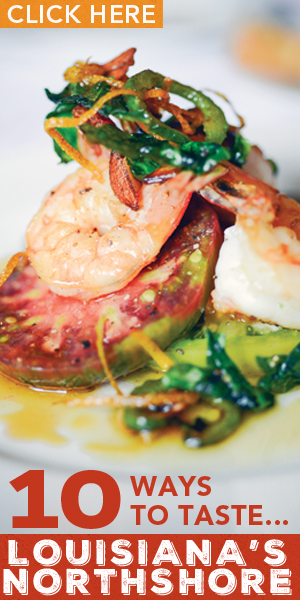 We'll have a good time, and dish up some great food. Wish y'all could taste it! 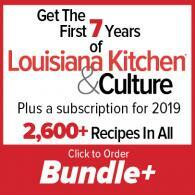 You'll find the recipes in the next issue of my magazine, Louisiana Kitchen & Culture. If you're a subscriber, you're in for a treat; if you're not, you're missing out. Subscribe today! This time of year, food banks around the country often struggle to keep their shelves stocked. If you have the wherewithall, put a few extra cans of food in your shopping cart this weekend and make a donation to your local food bank. This recipe is from "As American as Apple Pie", an interesting cookbook passed on to me by my mother in law. 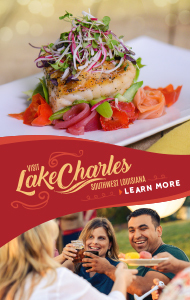 It offers several recipes in various genres; the author says this one came from Helen Johnson, whose restaurant he ate at in New Iberia in 1979! Haydel's has sold untold numbers of King Cakes over the years, and this is their recipe. If you're comfortable working with yeast dough, this will be a piece of cake, so to speak; if you're a novice baker, this is a forgiving recipe. And the thing with bread-baking is, the ingredients are cheap. Flour, salt, water, yeast. Give it a try! 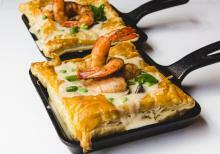 Comfort food: substitute your protein of choice, and use prepared puff pastry. Easy! 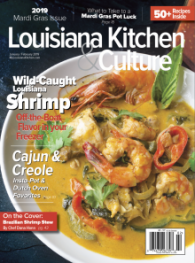 My Louisiana Kitchen & Culture subscribers will find the recipe on page 49 of the January/February 2019 edition; subscribe today and get your own copy. We're offering 1-, 2-, and 3-year subscriptions starting at $25.